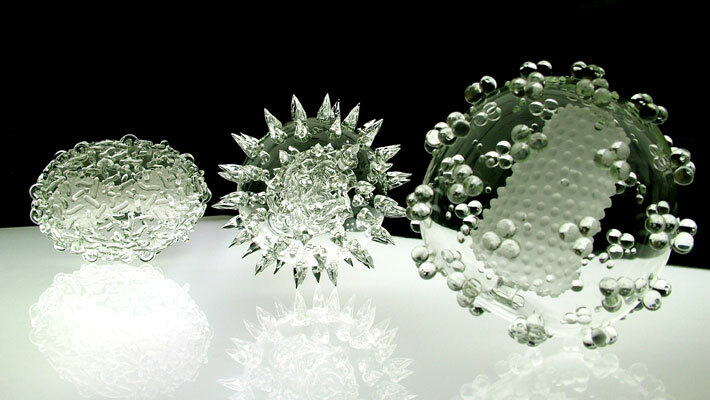 Check out these glass microbiology sculptures by Luke Jerram. Scary beautiful. (ht: Street Anatomy). The object on the left is the smallpox virus, HIV is on the right, and something of Luke’s devising is in the middle. In fact, check out his entire site – some amazing stuff. More about Luke in the Seed Magazine article. This entry was posted in art and tagged art, beauty, data visualization. Bookmark the permalink.